Get your tickets. Good spirits for a good cause! Please join us February 22nd from 6PM-9PM for appetizers and craft cocktails. We will be making a smoked salmon mouse puff pastry! 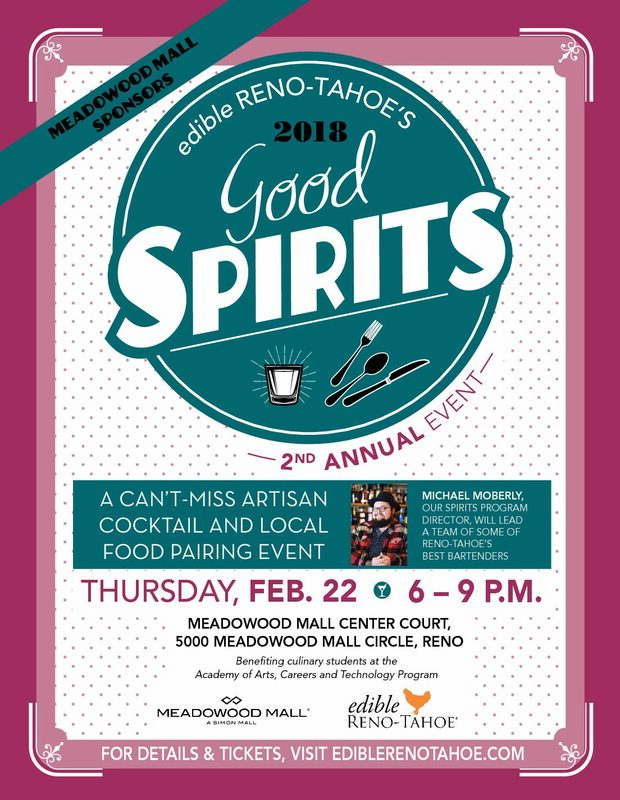 More information @ http://www.ediblerenotahoe.com/goodspirits-2018.